In 2007, archaeologist Armand Salvador Mijares found a curious bone buried in Callao Cave in the Philippine island of Luzon. Shortly after, he and his colleagues concluded it was a third metatarsal from an human that lived some 67,000 years ago. Together with other findings, it demonstrated that humans could cross the open ocean and reach isolated islands very early on in our history. But whether that bone belonged to Homo sapiens or another species of our genus was a mystery. 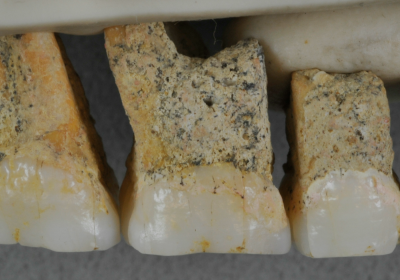 Mijares, of the University of the Philippines, and his colleagues have since discovered twelve additional bones and teeth from the same site. 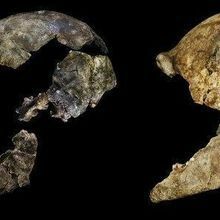 Their analysis has revealed that the remains are unlike any other hominin fossils known, and likely represent a distinct species of the Homo genus. The researchers named it Homo luzonensis, they report today (April 10) in Nature. 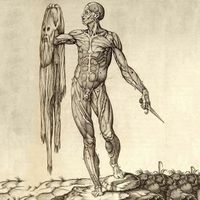 Altogether, the team—a group of French and Australian researchers, as well as Mijares himself—found a partial femur, two hand phalanges, two feet phalanges, and seven teeth, from at least three individuals. They dated one of the molars to a minimum age of 50,000 years, slightly younger than the metatarsal. They weren’t able to extract any DNA from the fossils, making it impossible to conduct phylogenetic analyses. 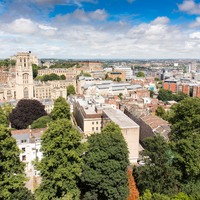 Instead they base their conclusions on detailed examination of the remains, using a range of techniques including traditional measurements, micro CT scans, and 3-D morphometric analyses. Two premolar and three molar teeth proved especially useful because they stemmed from the same individual. The molars had modern features reminiscent of H. sapiens and Asian H. erectus teeth, but they were too small to have stemmed from H. sapiens individuals. The premolars, on the other hand, could have stemmed from H. sapiens if one only considered their size. But these also had two or three roots—a characteristic regarded as primitive. These unique combinations of characteristics weren’t present in any known hominin fossils, explains Florent Détroit, a paleoanthropologist at the Muséum National d’Histoire Naturelle in Paris and a coauthor on the new study. 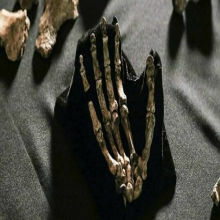 The hand and foot phalanges puzzled the researchers, as some of them strikingly resembled those of an Australopithecus species, a hominin known from the African fossil record that lived up until 1.5 million years ago. “If we told people that we discovered them in Ethiopia in layers dated to 3 million years ago, everybody would agree with us [that] it’s really Australopithecus,” Détroit remarks. But to see such specimens in the Philippines from only 50,000 years ago is unexpected. The morphologies of Australopithecus hand and feet bones are thought to reflect varying degrees of climbing behavior or bipedalism, but it’s not yet clear how H. luzonensis may have moved, he adds. To Détroit, the findings suggest that isolation on islands can drive speciation in humans in the same way it does for other vertebrate species. “I’m almost a hundred percent sure that [the unique combination of features] we are observing in H. luzonensis is also due to the effects of insular endemism,” he says. The Callao Cave fossils aren’t the earliest evidence of humans on Luzon: In 2018, researchers found a set of stone tools beside the remains of a butchered rhinoceros, just 20 kilometers away from the cave. They estimated these were around 709,000 years old. That would be enough time to evolve the unique characteristics the team observed in H. luzonensis, Détroit says, but it’s not clear if H. luzonensis descended from those early hominins. There could be other explanations for the unique combination of tooth features, he says. The group of individuals that reached Luzon was likely a random assortment of genotypes. With inbreeding over time, genetic drift could have pushed them to develop the unique characteristics that Détroit and his colleagues observed. So there’s a possibility that the remains represent merely an unusual island population of individuals, rather than a new species, Wood explains. Some researchers have suggested that other island hominins, such as H. floresiensis, arrived afloat some kind of raft or rudimentary boat. Meanwhile, others argue that early hominins weren’t clever enough for that, and that it’s more likely they arrived by chance—for instance, by getting swept away on tangles of mangroves during a tsunami. Some modeling work has shown that it would be possible to establish independent human populations on an island through successive, accidental arrivals, but the probability of that happening is very low, Détroit notes. 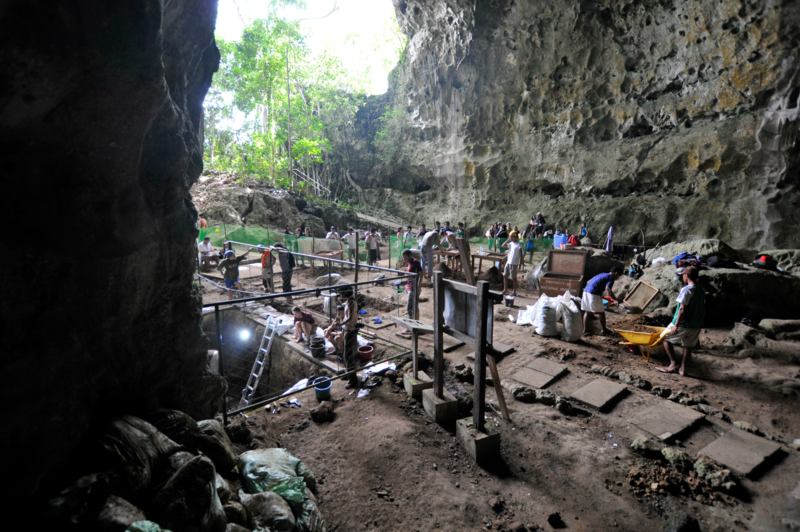 His team’s discovery of yet another island hominin, as well as others’ recovery of ancient stone tools on other islands such as Sulawesi, make him think it might not be purely accidental. “But it’s a lot of speculation,” he adds.